PRODRONE carried out demonstration experiments that utilize drone in inventory management and facility security in the logistics warehouse. For Drone’s autonomous flight, it is indispensable to grasp the position of the airframe by GPS, and in the present situation it was limited to outdoor use. 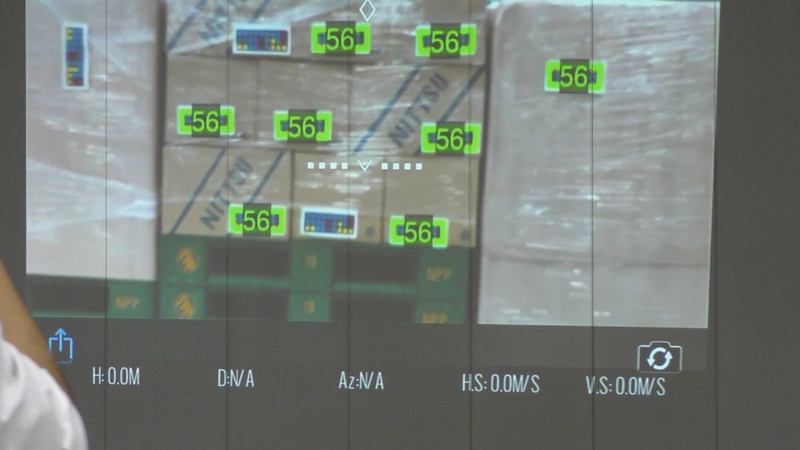 Therefore, we used a PD4-AW-S developed by our company equipped with multiple laser systems to read the chameleon barcode (*), perform a shooting experiment assuming security in a dimly warehouse with an ultra-sensitive multi-purpose camera It was. As a result, we confirmed that semi-autonomous flight is possible under the environment where GPS system cannot be used, and succeeded in most of reading chameleon barcode. In addition, we were able to recognize obstacles with an ultra-sensitive multipurpose camera. Based on the results of this demonstration experiment, we will promote R & D toward further improvement of accuracy and practical application of the aircraft. *Chameleon barcode’ is a new type of high speed and quality image recognition technology utilizing 4 colors.